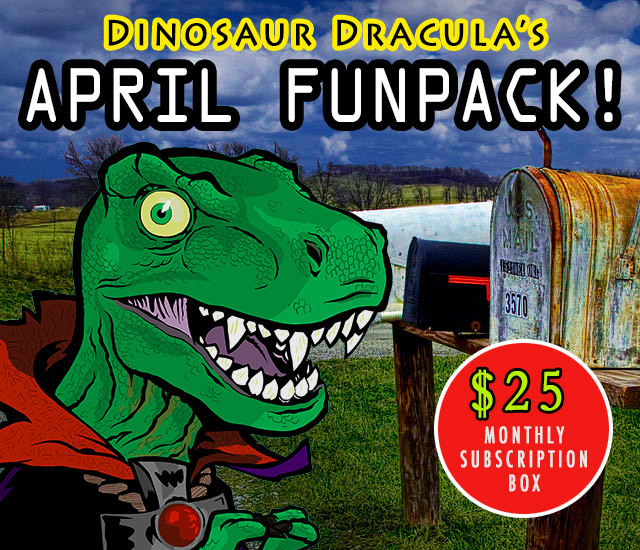 Dino Drac's April 2016 Funpack is here! | Dinosaur Dracula! 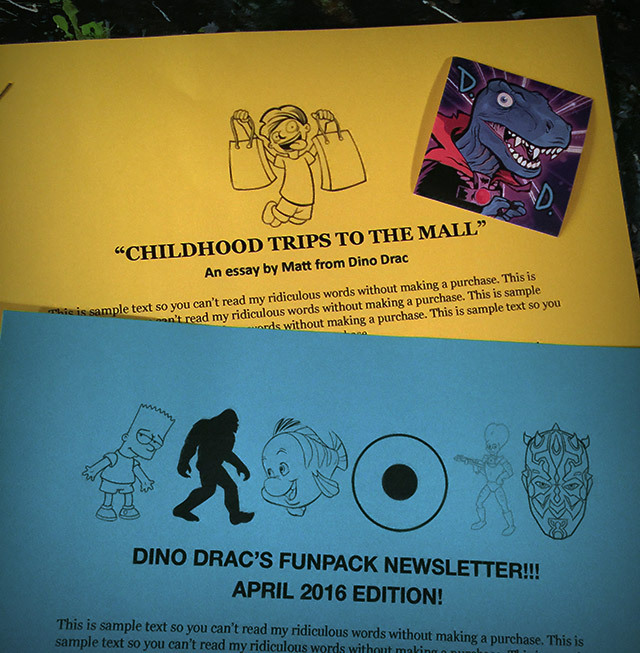 Dino Drac’s April 2016 Funpack is here! I guess Saturday night is a stupid time for a product launch, but whatever, I’ll live. 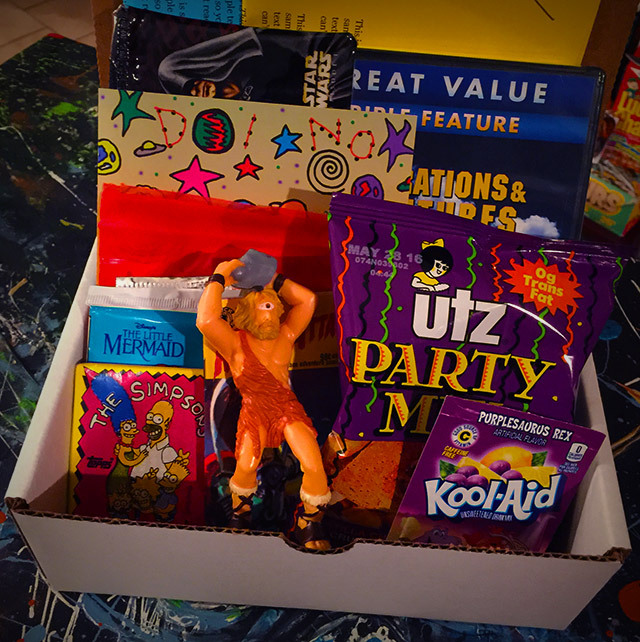 Dino Drac’s April 2016 Funpack is here! You all know the drill by now, right? I sell monthly Funpacks. Without them, there’d be no Dino Drac. Subscriptions cost $25 a month (including shipping), and you can cancel at any time without penalty. For as long as you stay subscribed, you’ll keep getting Funpacks… and you’ll also help keep the site loaded with silly articles about toys and junk food! A win/win? 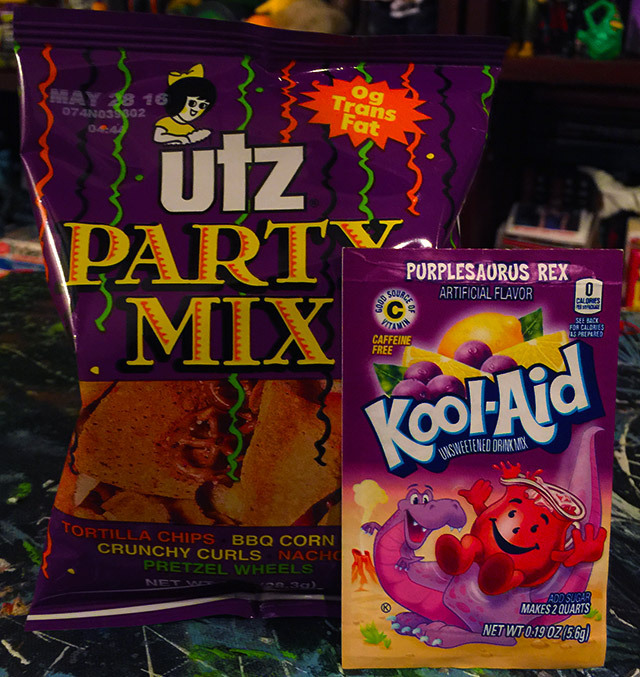 The April 2016 Funpack might be the strangest yet. At the very least, it’s the most eclectic! Each box is stuffed with over thirteen wildly different items — most vintage, some new, all fabulous. Skip to the bottom of this post for info on how to start your subscription, or keep reading to see all of this month’s goodies! 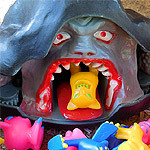 The star of this month’s box is CICLOPE, another awesome monster from Spain’s Super Monstruos collection. 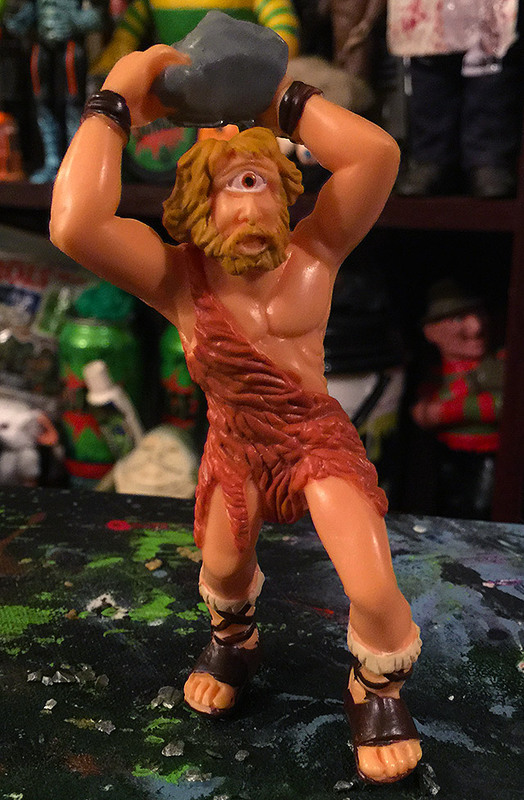 This four inch behemoth was made in 1992! 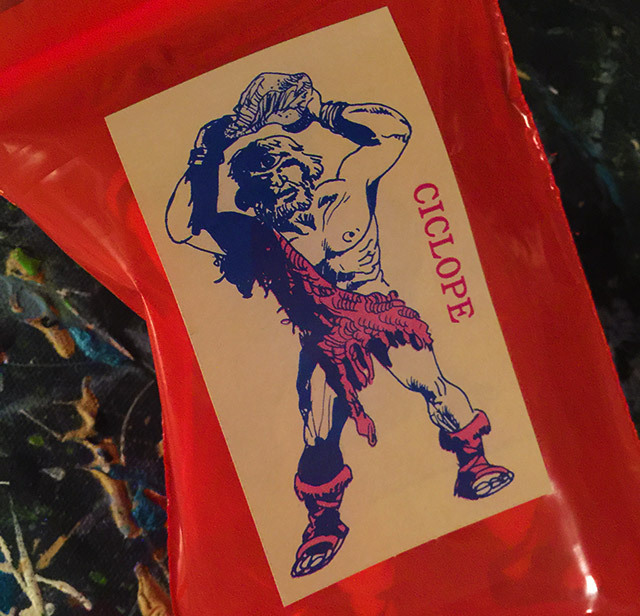 Every subscriber gets one, and I’m happy to report that CICLOPE will arrive in a custom Dino Drac bag, featuring art from the vintage Super Monstruos catalog! Next up, a DVD! 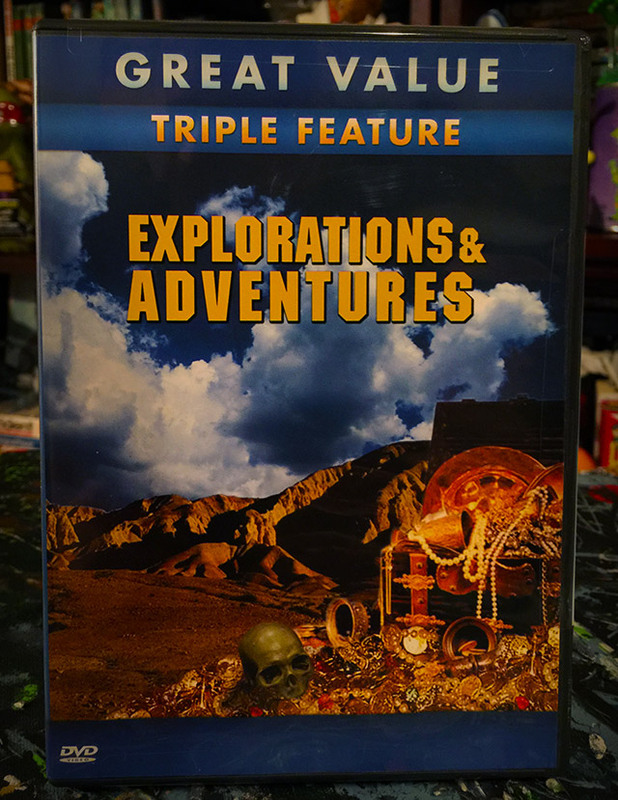 Each of you will receive a sealed copy of Explorations & Adventures, which includes THREE different feature length movies, haphazardly crammed onto one disc. Let this be your entertainment for the laziest of Sundays. The movies include Treasure Island (starring Frank Gorshin! 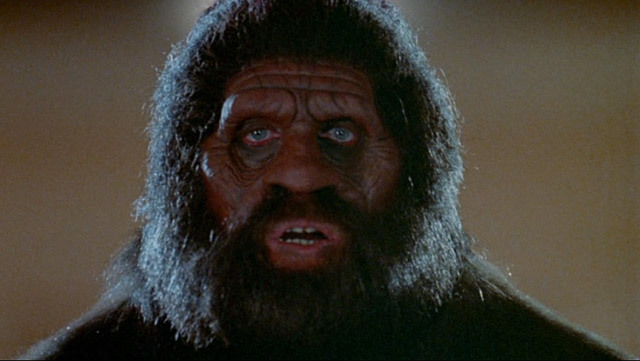 ), Outlaw Trail, and last but not least, Cry Wilderness… which reportedly features a few scenes with no less than Bigfoot himself! Then you’ll get the requisite bunch of sealed, vintage trading card packs! Leading the charge is a pack of vintage Simpsons cards, and I’m sure many of you will remember these, since they came out when the series was white hot. I used to collect the hell out of that set. Joining Homer and Bart is a sealed pack of Laffs cards, starring characters from the old school ABC TGIF lineup! 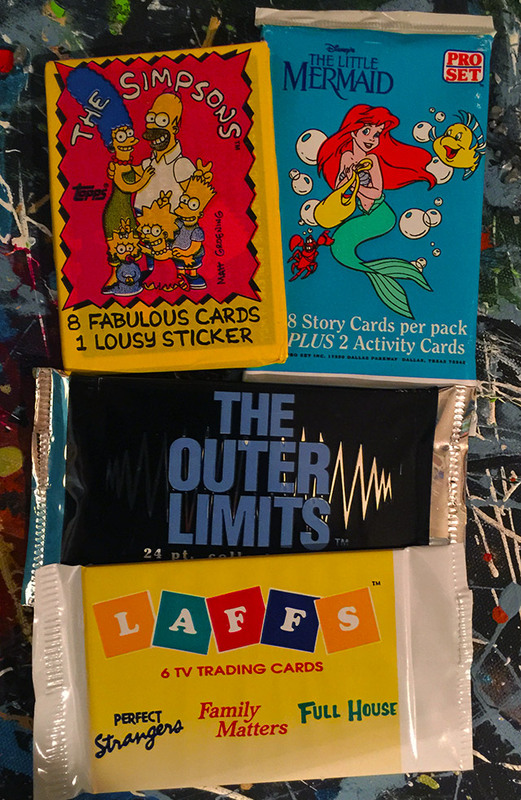 You’ll also receive vintage packs of Little Mermaid and Outer Limits cards, satisfying your desires for things sweet and sour! Sooo much nostalgia from sooo many different corners! Yes, there’s more. Much more! 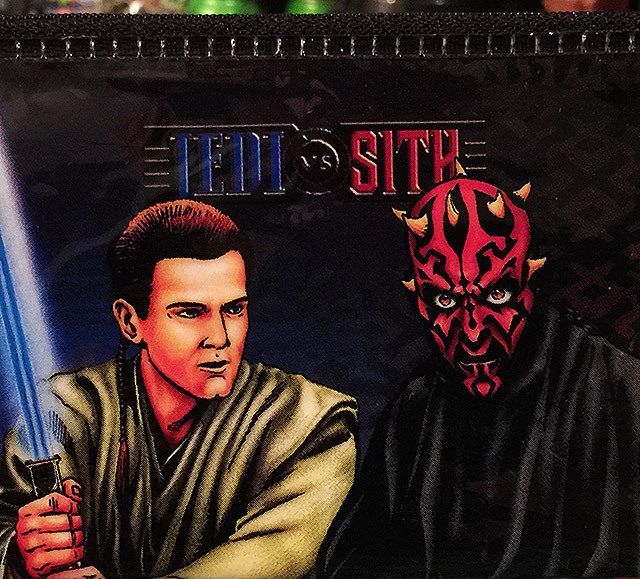 You’ll also receive a Star Wars: Episode 1 pencil case, featuring Obi-Wan and Darth Maul. These are totally unused and still have their foam inserts. I know you don’t “need” a pencil case — much less one that prominently features Darth Sidious — but these were just too weird not to include! 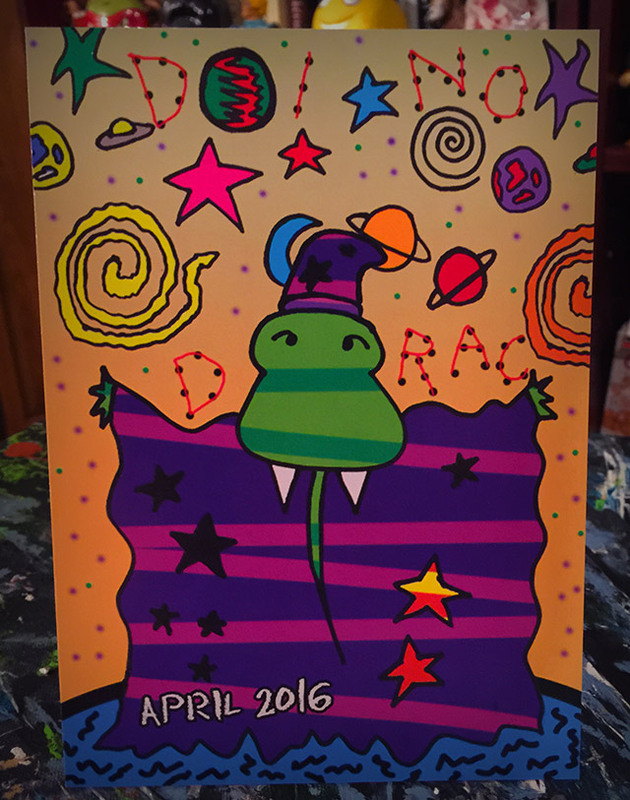 This month’s Ugly Mini-Poster turns Dino Drac into some kind of Mardi Gras space wizard. Okay! 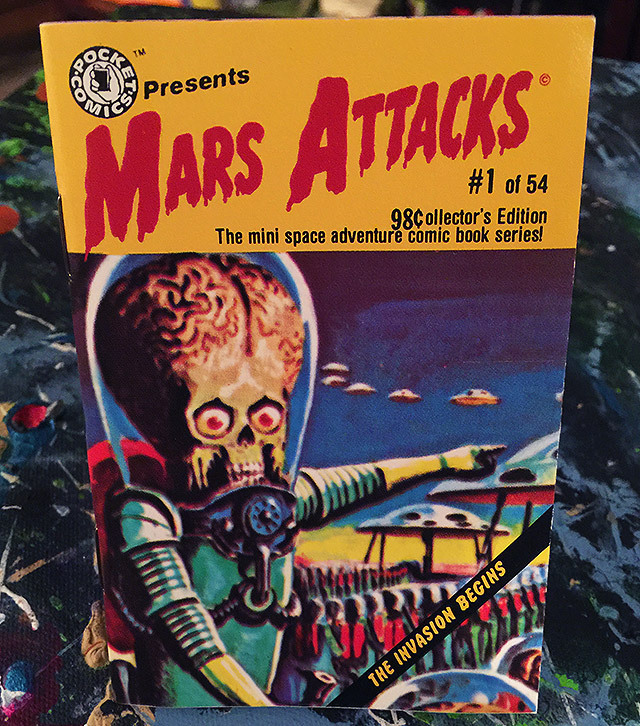 Then you’ll get a vintage Mars Attacks! mini comic, made in 1988! 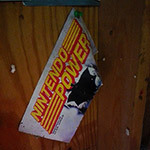 The comics are no taller than a pack of trading cards, and were originally sold right near the registers in comic shops. Despite their age, they’re in fantastic, unused condition! NOTE: You will receive either issue Issue #1 or Issue #2 with your Funpack. If you receive #2, don’t worry, the story is easy to follow. Aliens attack and wreck us. The end. 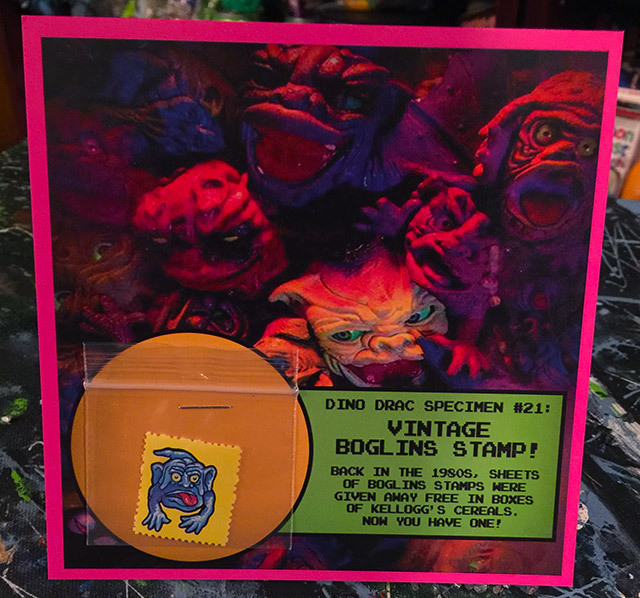 This month’s Dino Drac Specimen snags you a vintage Boglins stamp! These were originally given away in specially marked boxes of Kellogg’s cereal back in the late ‘80s. Each stamp comes bagged and stapled to a custom Dino Drac display card! To round things out, you’ll also receive this month’s Dino Drac sticker and Dino Drac Funpack Newsletter… along with an exclusive essay all about my grade school shopping mall glory days, when me and my friends would get dropped off and enjoy several hours’ worth of unchaperoned chicanery through the aisles of Kay-Bee and Spencer’s. This story will never be reprinted on the site! Yep, you’ll get EVERYTHING shown above for $25 shipped! If you’re already a Funpack subscriber and you’d like to stay that way… do nothing! You’re all set! If you want to subscribe, please read the following, and then click the button at the bottom of this page! 1. Funpacks are available in the United States only. Sorry! 2. Subscriptions are handled via Paypal. If you don’t have an account, it’s very easy to make one! 3. Funpacks will be shipped to the address listed on your Paypal account. If you need to change your shipping address, or if you’d like for your Funpacks to be shipped to someone else, simply email me! 4. You will be automatically billed $25 every month. (Yes, that price includes shipping.) If you subscribe today, you’ll pay today, and then again in exactly one month. For as long as you remain subscribed, you’ll keep getting Funpacks! 6. The April 2016 Funpacks will ship on or before Tuesday, 4/19! 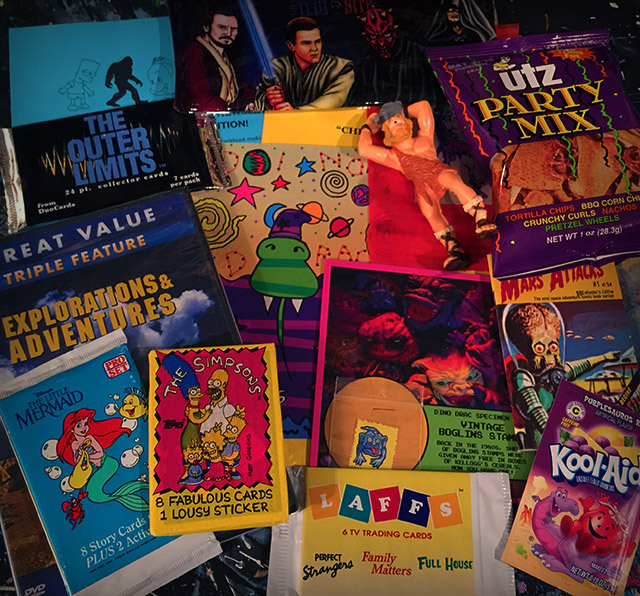 Remember, the Funpacks are *absolutely* what allow me to keep doing the site, so if you like all of these giant articles about old toy catalogs and TV commercials, subscribing to Dino Drac’s Funpacks is the best way to guarantee more of them! To get your subscription started, click the button below! 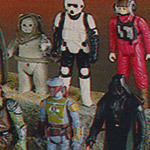 Toys from the 1984 Consumers Catalog! 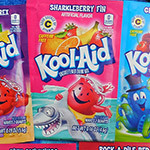 The return of sooo many Kool-Aid flavors! Rocks & Bugs & Things! 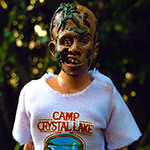 NECA’s “Jason and Pamela” SDCC Set!